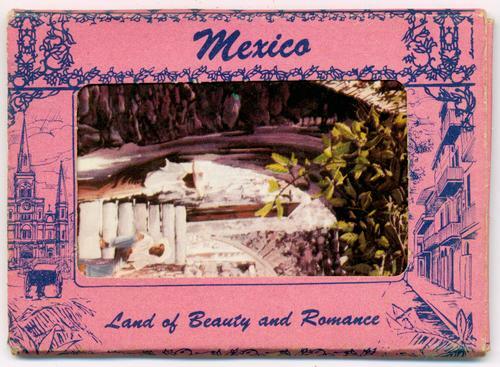 This item is a packet of 12 color, miniature views. 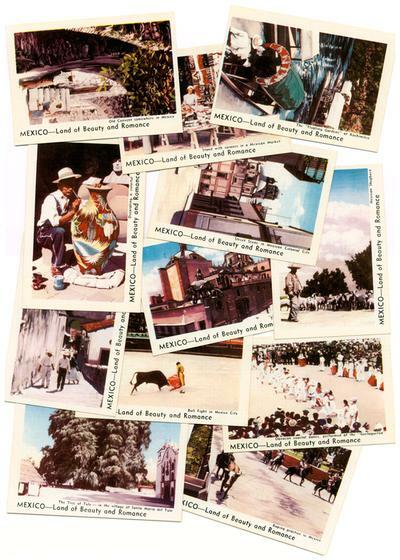 Each card measures approximately 3-3/8 x 2-3/8 inches and has a plain back. Made by Dexter Press. The wrapper has the pre-printed address markings but is unused. All 12 cards are in excellent condition with only slight corner tip wear on a few. 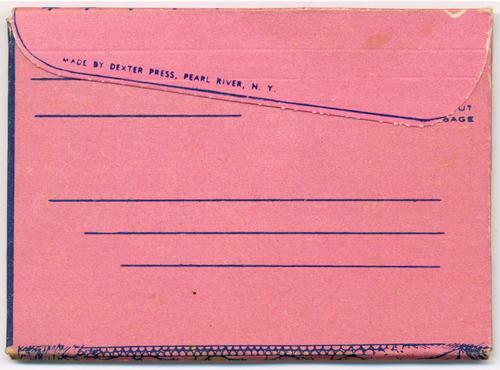 The pink mailer has minor corner and edge wear.